Two major construction companies were Monday ordered to pay fines totalling more than $3 million for colluding to win contracts on Japan's multi-billion-dollar maglev project. 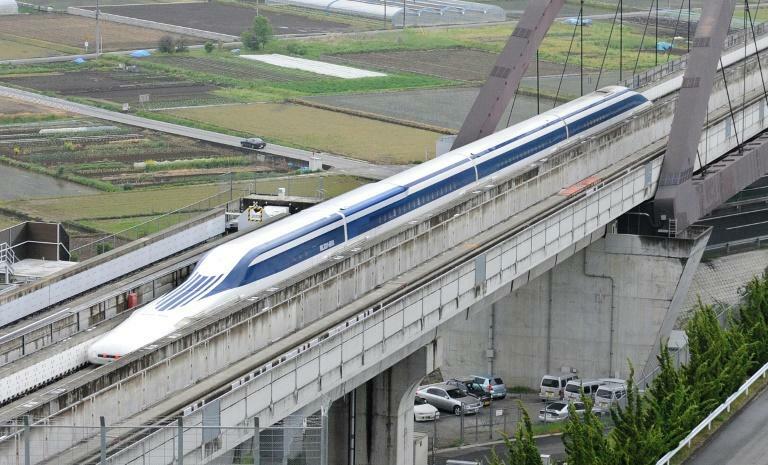 The state-of-the-art maglev -- magnetic levitation -- trains are scheduled to begin commercial service between Tokyo and Nagoya in central Japan in 2027, later extending to the western hub of Osaka. The giant project, estimated to cost nine trillion yen ($86 billion) in total, has seen a host of firms compete for contracts ranging from tunnelling work to building stations. On Monday, the Tokyo district court ordered one of those companies, Obayashi, to pay 200 million yen ($1.77 million) and a second, Shimizu, to pay 180 million yen. Presiding judge Takumi Suzuki said the collusion had "prevented fair and free competition", local media reported. "We accept the ruling and we will do our best to take preventive measures and other additional steps to regain trust promptly," Obayashi said in a statement. Shimizu described the collusion as "regrettable". Maglev trains will run at 500 kilometres per hour (310 miles per hour), roughly twice as fast as the current bullet trains in Japan. A maglev train clocked a new world speed record in a 2015 test run near Mount Fuji, smashing through the 600 kilometres per hour mark.